KA Paul complains Jana Sena Activists attacked him while he was returning upon filing nomination in Narsapuram Lok Sabha Constituency. In protest against the attack, The Evangelist decided to contest against Pawan Kalyan as well in Bhimavaram. 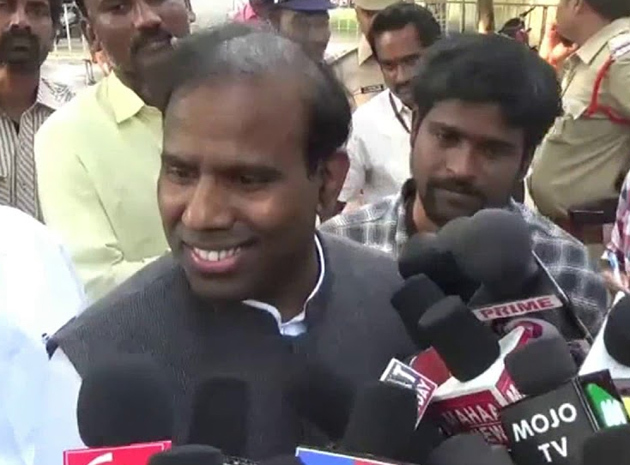 Speaking to media, KA Paul told: 'I would file my nomination in Bhimavaram on Monday. I will work with the goal of defeating Mega Brothers in both these constituencies. Will complain to Chief Electoral Officer over the attack on Me and seek protection'. On this occasion, KA Paul announced his full name 'Kidari Anand Paul'. He told, 'MLA Candidates of Praja Shanti Party needn't have to spend more than Rs 5 lakh for victory. Don't vote for Chandrababu Naidu, Jaganmohan Reddy and Pawan Kalyan...vote for helicopter in which they travel'. KA Paul commented that Vijay Sai Reddy has been appealing Election Commission to change the election symbol of helicopter as it resembles YCP election symbol Fan. 'We don't have a flag, voters are our flag. Surely, Helicopter will destroy fan,' he exudes confidence.